You are prohibited from using any Intuit brand or brand element in the title of your application, your app card or your other branding. You are permitted to make truthful, factual references to Intuit’s products and services in plain-text descriptions of the features and benefits of your app. You cannot use “QuickBooks,” “QB,” “QBO,” “QBOA,” “ProAdvisor,” “Intuit,” “Turbo”, “ProAdvisor,” “Mint” or any other Intuit brand (the “Intuit Brands”) or brand elements (e.g. “quick,” “intui,” or “tuit”), including phonetic equivalents (e.g. “qwik” or “QuBee”), in the name or branding of your business, application, service, business source identifiers or any other programs and/or materials. Your logos cannot be a mimicked version, similar to or an alteration of an Intuit Brand logo; nor, can your logos contain any Intuit Brands, brand elements or Intuit logos. Your business name and/or logo must be clearly displayed at the top of your website. Your business name and/or logo must appear larger than any Inuit Brand or Intuit Brand logo (used only as set forth above), including but not limited authorized logos you display on your website, under the Intuit Developer Program Agreement. For legal details, please see the application naming and advertising restrictions in the Intuit Terms of Service. Implement your own on-click method with one of the buttons below to invoke the location in your app that initiates the OAuth 2.0 workflow. Define classes for both base and hover states. Display this button to users who have not authorized access, yet. That is, not connected to a QuickBooks company. Include this button on any page in your app. Do not modify the appearance of any button graphics. After the connection is established, replace the button with a way for users to disconnect: a button or link titled Disconnect from QuickBooks. When clicked, it invokes the location in your app that revokes access. During the authorization workflow, the user selects a company and then authorizes your app to access the data. After the user authorizes the connection, the browser is redirected back to your app. Learn more about authorization here. Download button images. Includes Connect to QuickBooks graphics in png format, both base and hover states. Download FR-locale button images. Includes Connect to QuickBooks graphics in png format, both base and hover states. Implement your own on-click method with one of the buttons below to invoke the location in your app that initiates the OpenID Connect authentication workflow. Define classes for both base and hover states. Place this button anywhere on a page, display it only for users not already signed in. Preserve the appearance or behavior of any graphics you use directly. Don’t use a link or another widget to start the sign in process. If you’re implementing modified single sign-on, adding this button, and associated implementation, is optional. During the authentication workflow the user is prompted to log in with their Intuit user ID (email) and password. After user authentication is complete, the browser is redirected back to your app. 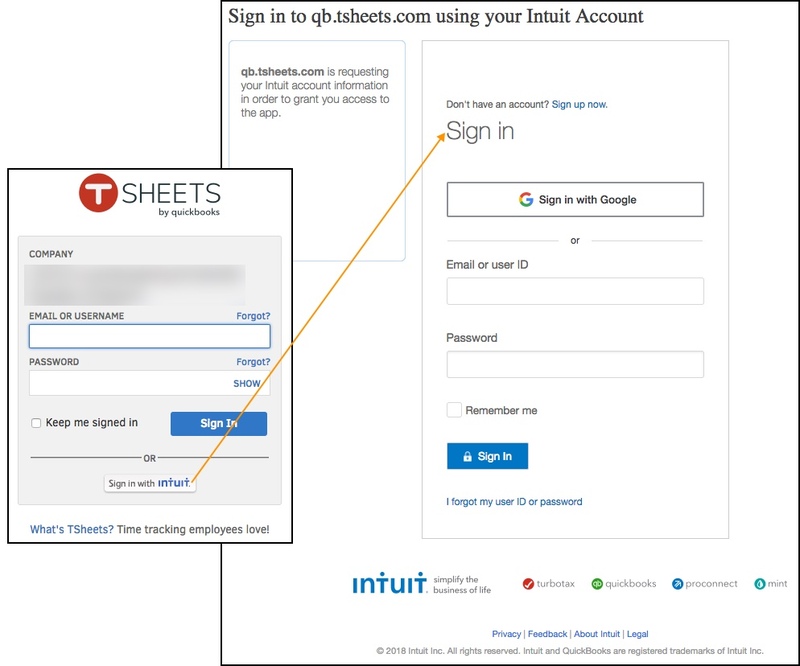 Learn more about Intuit single sign-on here. Download images. Includes Sign in with Intuit graphics in png format, both base and hover states. Here are the approved Intuit branding and marketing assets that you may use in your product or when marketing your app. You can download all these assets at once with this file: intuit_approved_logos.zip.